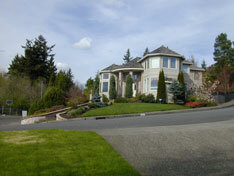 If you are going to sell your home you would be wise to invest in a professional appraisal. Professional appraisals do not cost money, they pay in the long run! Unless a homeowner studies real estate values on a day to day basis, like a professional appraiser does, it's difficult for them to get a handle on real estate values. We are not talking about how much you have invested in your home, how much you paid for it, or how much you want for it. We are talking about the true market value of your home.